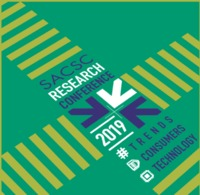 The SACSC Annual Congress is a premier industry event that encapsulates and highlights, which makes this one of the most dynamic and exciting industries to be a part of. Heading into its 23rd year, the Annual Congress has successfully matured into an event that not only educates, it also provides a platform to further enhance an industry that contributes meaningfully to the economic lifeblood of any country across the globe. Delegates can look forward to insightful speakers and priceless networking opportunities. Join us for the industry event of the year on 16-18 October 2019 at the Cape Town ICC.